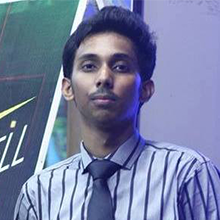 Mustahsin Saabit is currently pursuing Masters of Professional Engineering at Swinburne University of Technology with specialization in Renewable energy. He completed my Bachelors in Electrical, Electronics and Communication engineering from Military Institute of Science and Technology under Bangladesh University of Professionals in my home country Bangladesh. He worked as a technical engineer at Innoel technology Ltd, a private power company in Dhaka, Bangladesh for six months before coming to Melbourne for Masters .